One of the most desired golfing communities on the Outer Banks is the Village at Nags Head. 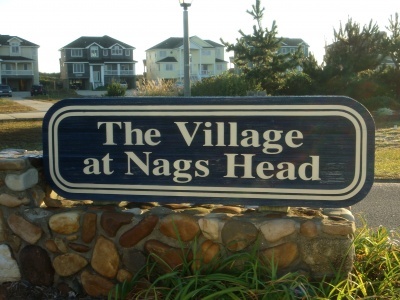 The Village at Nags Head is one of the premier communities along the Outer Banks and perhaps is the most centrally located of any community. Owning a home in the Village at Nags Head allows you access to the world-class amenities and the benefit of being centrally located within the Outer Banks. Homes in the Village of Nags Head offer access to the Village Beach Club. The Village Beach Club offers access to an Olympic sized oceanfront pool and clubhouse. The clubhouse offers food and beverages along the oceanfront pool. Along with the pool and snack bar, the Beach Club offers a game room, bathhouse, and private walkway to the beach. The Village also offers a community shuttle as part of its amenities package. These impressive oceanfront amenities are part of what makes owning in the Village at Nags Head so special. Some of the homes along the Village at Nags Head overlook the beautiful Nags Head Links golf course. Nags Head Links offers one of the best-golfing experiences on the Outer Banks. If golf course living in the Outer Banks is what you are looking for, Village at Nags Head may be for you. The Village at Nags Head also offers outdoor community tennis courts for its residents and guests.